The most famous human’s menu is now available for your 4-legged friends. This luxury menu is loaded with the savory pork liver, chicken chunk, vegetable cubes and topped with chicken broth jello that is as delicious as it is nutritious. 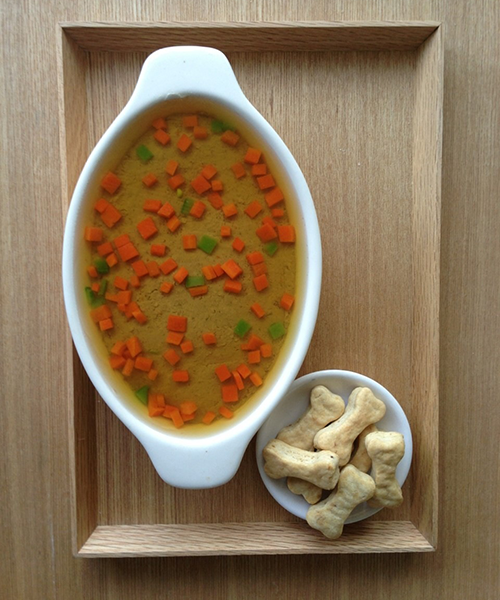 Chicken broth jello made with gelatin that full of Glycine, amino acid that good for pets’ joint.